Play these Flash or HTML5 based online slot machine games provided by JackpotJoy at Top Free Slots. No download required to play the games - just click on the image and wait for the game to be loaded in your browser window. You can play all these JackpotJoy Slots for free or try your luck for real money at sponsored online casinos. You can play classic slots or 5 reel video slots with multiple lines of payout, exciting bonus features, and wild and scatter symbols to increase your winning potential. The TV themed slot machine that could pay out 10,000 times your wager! What's in your Golden Ball? 2 bonus games allows you to win big on this popular 20-line slot. Wager anything between a penny and £20 a spin and take.. Uncover Cleopatra's Cash and you'll walk away with a big mummy Jackpot up to 10,000x line bet! Popular Queen of Egypt slots game also features wild & Scatter symbols. All wins pay from left to right AND right to left.. Nothing says Christmas better than Santa's Crackers - like a Slots version of a Bennie Hill double bill! Try this great theme, simple slot machine game and try to win top payout of 2,000x your coin size. Bet from 1p up..
Tiki Island is a 5 reel, 20 pay-line slot game with Logo Wilds & Red Mask Scatters, 2 bonus features and 10,000 coin max jackpot. With a Pacific Island theme the game offers flexible bet sizes from just 1p and the.. This is a 25 payline online slot machine from JackpotJoy. 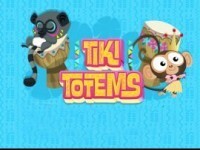 rr Powered by Gamesys, Tiki Totems slotÂ machine is a video slot that wants you to bet on the sunshine, white sand, and blue sea by.. This Space Age slot offers alien encounters and the chance to beam up a huge cash prize! Ray Gunn is a new 25 payline video slot with wild and scatter opportunities and second screen bonus feature free spin style.. Prepare to take a big money trip to Wonderland and you could win this magical progressive Slot! Try this brand new slot that has everything you could imagine - up to 100 paylines, 4 bonus rounds and 4 progressive..
Fortune Temple is a new 25 payline video slot with Wild and Scatter symbols and 2 bonus feature rounds. Take a trip back to the Ancient South America, as you visit Fortune Temple and uncover Aztec's Treasures. A.. Spin on the carousel and slide down the helter skelter to win top 10,000 coin jackpot on this fairground inspired Slots ride! Land 3 Bonus Symbols on an active payline to enter one of the 3 Side Show Bonus Games. Play..
JackpotJoy presents Houdini - a new 5 reel, 25 payline online slot machine game with 3 great bonus rounds and one of the biggest jackpots available on the internet - £1,000,000! Hit 5 Wild Houdini symbols on a.. Fancy winning £10,000 with Jackpotjoy's hot X Factor game? That'd be a definite yes! Play this new multi-line slot machine game and win big. Scatter Symbols can bring you up to 50x total bet per spin. 3 Bonus..
Meet the Winstones and you could win the mammoth £2,000 instant win cash payout - hit 5 Winstones Resort & Casino Logo on any of the 25 paylines! Play this vacation-themed 5 reel online slot machine game for your..
Will you find the cuddly furballs paying out in this explosive new super slot machine from Jackpotjoy - Chuzzle! The slot is packed with 3 Bonus Feature Games and 10,000 coin top jackpot. Bet all 20 paylines and see.. Huge tasty burgers, fries and real cash prizes! Come and chow down with the tastiest online slot around. Land 5 Wild Cards on an active payline to scoop 20,000 coin top payout. Play this instant slot now. This is the lawless slot machine that pays without lines and offers a £15,000 top prize! Bet from 25p up to £25 per spin - you total wager equals your coin size. There's no win lines so you can win wherever..
Zuma Slots is a new 20-payline slot with Wild symbol, generous free spins, multipliers, gamble feature and an unbelievable 10,000-coin top jackpot. Enter ancient jungles and uncover hidden riches with this exciting..
rr Meet with the chuzzles: They are round, small, fluffy and filled with coins. No, don't smash them, they give their coins willingly. At least if you are lucky! Chuzzle casino slot game by Gamesys online slots is a..
Jalapeno Racers is a 80 payline slot machine developed by JackpotJoy. rr The free online Jalapeno Racers slot machine by Gamesys is a unique slotÂ game with four mini windows in it. Each of these..
Watch Bejeweled gems turn into big money wins with this new cascading slot! Keep your eyes out for Lightning Hypercubes that will create devastating explosions and even more win opportunities. Jins Jungle is a 25 payline online slot machine from JackpotJoy. rr There is not a single human being that doesn’t enjoy watching animals, like small pandas, in their natural habitat. This forest.. Play Jackpotjoy's exclusive Red or Black? Slot and you could win a huge progressive jackpot… that is now over £600,000.00 and growing! Choose your cookie right in the Fortune Cookie Bonus round and you'll win the..
Pirate Plunder is a 25 payline slot machine game created by JackpotJoy. rr Pirate Plunder is a slot machine game developed by Playtech. ItÂ is consistedÂ of 5 reels and three rows, and its theme is all inspired..
Bejeweled 2 Slots game is a new 20 payline video slot machine with Wild multiplier (2x) and 3 bonus feature games. Popular block game turned to the slot machine - this unique gaming phenomenon will help you to find.. Play the TV themed slot game with the huge prize giveaways! 3 Bonus games can be triggered. Bet from 5p per line and win up to 10,000 coins jackpot. Will you win your Family Fortune? Play and find it out right now! Play this free demo-version of the new In It For The Monet slot - a 5 reel, 15 payline slot machine with Wilds & Scatters and re-triggerable free spins. With a chic French theme, the game is magnifique, fantastique and.. Nuts & Bolts is a 25 payline online slot machine from JackpotJoy. rr Nuts & Bolts slot machine game is created by Gamesys 500 with a unique robotic feeling that features a lot of interesting symbols..
Will you hoist the mainsail & plunder a pirate's fortune in pieces of eight? Pirate's Plunder is armed with a Free Spin feature, Wild & Scatter symbols so there's always the chance of a treasure trove around the corner. The Godfather is a 25 payline slot machine game created by JackpotJoy. rr The famous film The Godfather won many rewards from the moment of its release, and now Genesys gives us the opportunity to become part..
Take your chance to win a lot from brand new slot Winning Lot! In the bonus round you'll pick your antiques to auction off and get paid for all items sold. There's a little magic woven into this fairy tale slot game - play here and you could find a happy ending! Spin for Gold and Win Big with 44 winning opportunities on the reels and up to 20 Free Bonus Games! Fortuna The Dragon is a new 5 reel, 25 payline video slot with Wild & Scatter symbols, and 4 exciting bonus games, each comes with 5 free spins and exciting extras. Fortuna could come flying onto the reels at any.. Twins Of Evil is a new Halloween-themed slot machine game with 5 reels & 20 paylines, Wild & Scatter symbols and 2 scary bonus feature rounds. The vampires and victims are now being joined by interactive bonus games.. This is a 15 payline slot machine developed by JackpotJoy. rr The free online Wonders of the Deep slot is presented to you by Gamesys 500. This pokie feels marvelous since it is inspired by many.. This is a chic 1920s themed 5 reel and 5 payline slot machine game with progressive jackpot. Diamond Bonanza slot's theme comes straight from the roaring 20s - home of the Charleston, Al Capone and sumptuous art deco..
Now you can play the classic TV game show for an instant win cash prize! The game is easy to learn, and incredibly exciting. Guess the cards right and progress to the next level to win a juicy bonus. Hit a Winning Streak on this classic slot and you'll find yourself a huge cash payout! Bet Max 2 coins an win top jackpot of 5,000 coins by landing 3 "$" symbols on the line. This diamond themed slot game is definitely one for all the girls out there - it's the best there is! Spin those big shiny diamonds and find yourself with more carats than Bugs Bunny!